I'm planning to run in Central Park this afternoon with Steve, my banker friend. There's something nice about ending the work week with a NYC run, especially on a cool fall day. Steve and I haven't run together in a while so it will be good to catch up. I've been running more with friends these days and I really like the experience. It's the variables that make it interesting. Last year I ran primarily with Adventure Girl and that set the bar high. 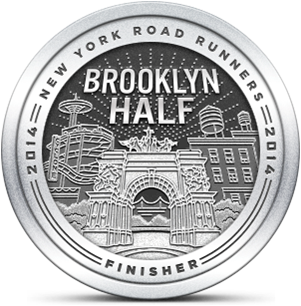 We covered a lot of territory around NYC and ran with performance in mind. It was always a fun challenge keeping her pace. When I run with my friend CK in the city I know it will be a workout that pushes me well past my comfort zone. Yet I still enjoy the experience. My runs with BJS and Dave are not "all out" although we do run hard. It's a great balance between work and social and I learn a lot from both of them. My weekly runs with JQ are a treat. He's a fascinating guy, the kind of person you'd pay to listen to. Our runs are relaxed and it's as much about the conversation as it is about the activity. I've had some great runs recently with KWL who took up the sport when I co-organized a Fun Run last summer. He's primarily a cyclist but he's surpassed me in terms of speed. I had enjoyed an advantage on longer distances but he recently ran a 10K race on a Saturday and a Century (100 Mile) bike ride the next day. We usually run 8:30-8:40 miles but they don't seem that hard. In most cases, running with a friend makes time go by faster. Hard runs just seem easier. It's all about the company.